Cord-free. Hassle-free. 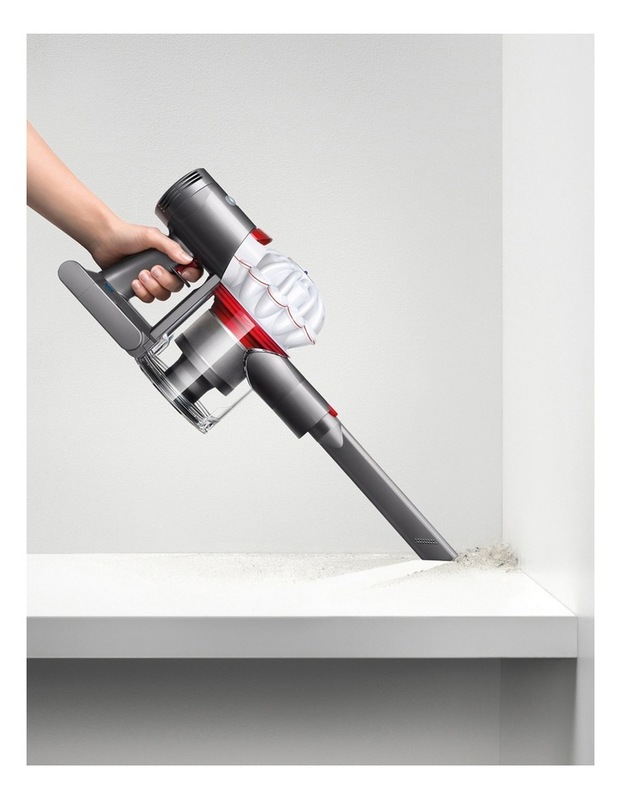 Powerful suction. 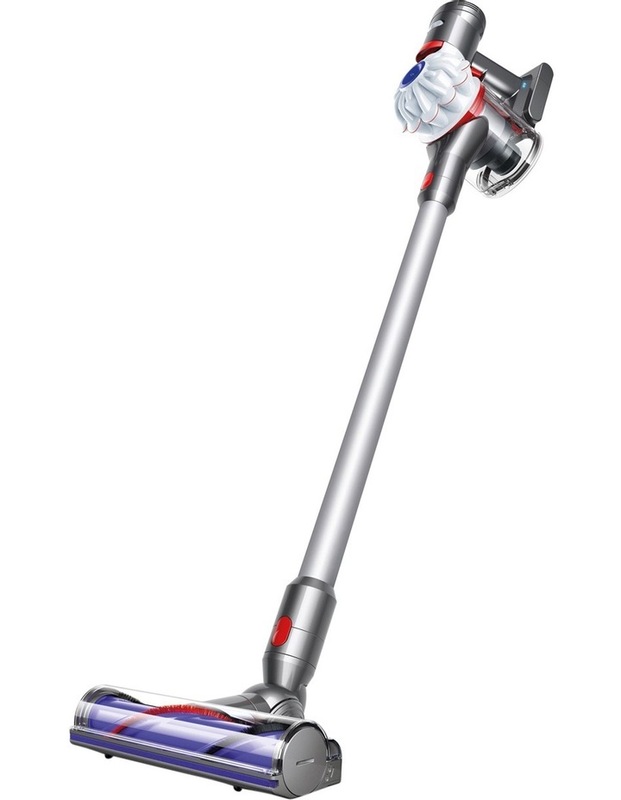 Powered by the Dyson digital motor V7, with up to 30 minutes run time. 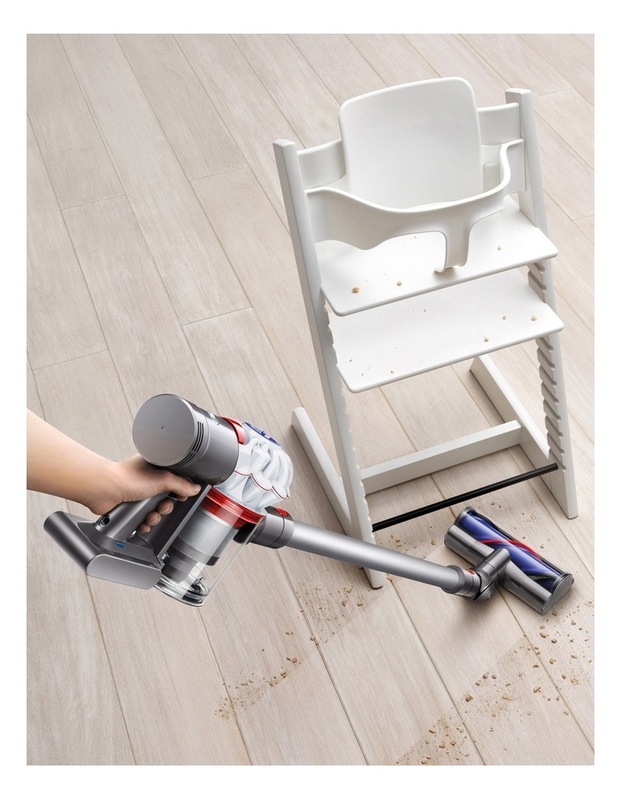 Balanced for floor to ceiling cleaning 2 Tier Radial cyclones with fade-free lithium-ion batteries for Up to 30 minutes of fade-free suction. 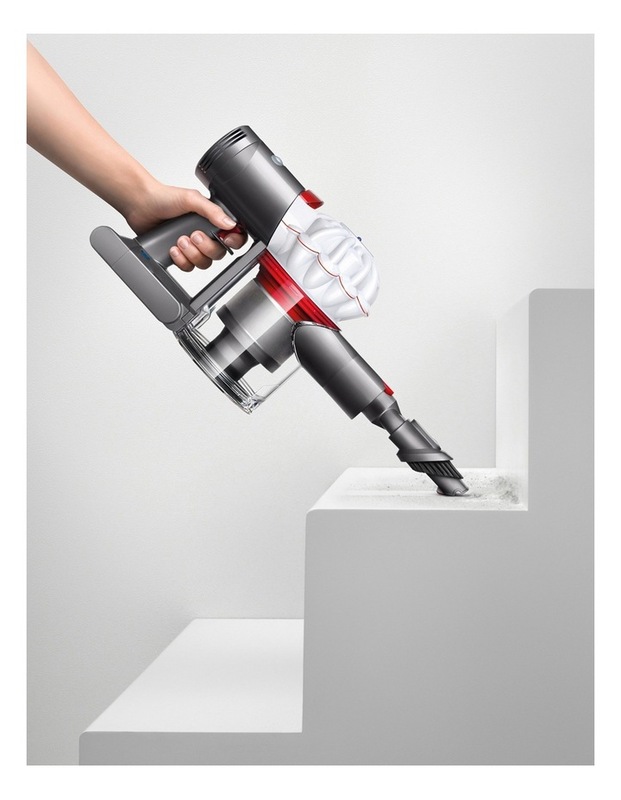 Max power mode for up to 6 minutes of max suction for more difficult tasks. Hygienic dust bin emptying Direct Drive Cleaner Head.